So you want to build a sweet ride, but you don’t want to take the well travelled route. 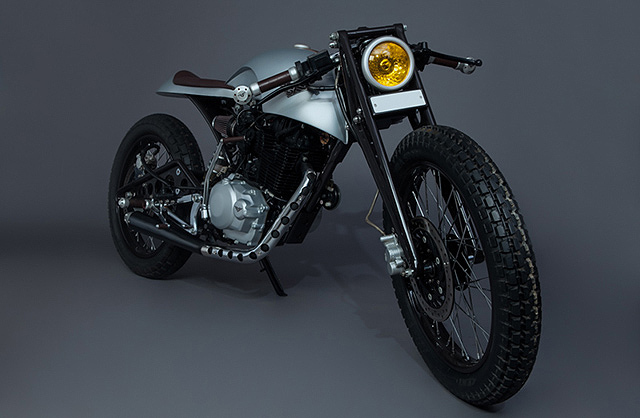 You want something with that café racer silhouette, but you also crave something fresh. This was the conundrum faced by Aditya Green from Mean Green Customs in India, when he was trying to work out the details for the feature bike seen here today. 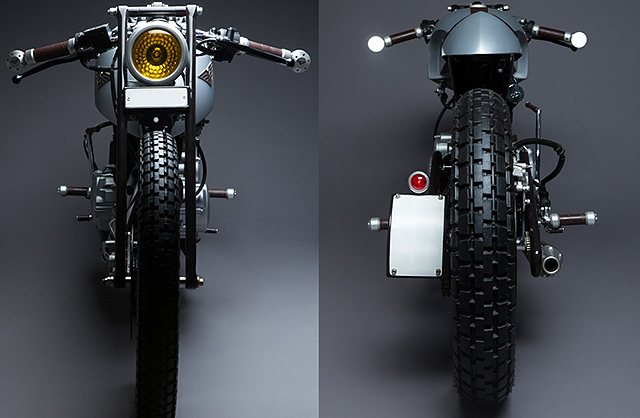 This bike started as a thought, was turned into a sketch and then became a beautiful reality. 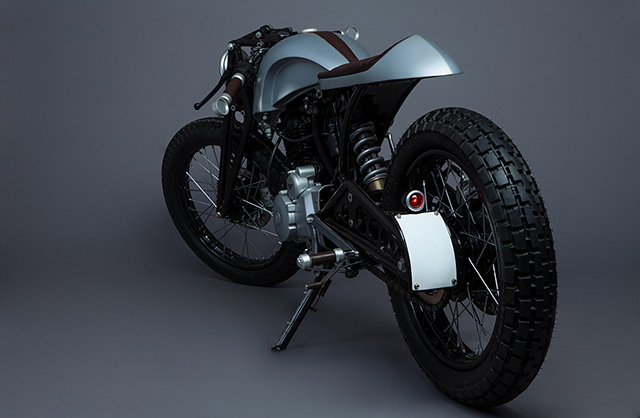 Sleek lines, low slung and with a side profile to make you weak at the knees, this futuristic café racer is definitely something you don’t see everyday. And that’s what makes us appreciate it all the more. At the heart of the sleek silver machine is a 223cc Hero Honda Karizma powerplant. Basically a detuned version of the engine found in the popular CRF230 Honda dirt bike range, the main difference being the Hero transmission carries only five speeds as opposed to the the six speeds found in a CRF. The carb is the factory Kehlin CV with the carburetor controlled variable ignition switch system left intact on the build. This helps to make for a 3.8 second 0-60 time for the machine. That body, those lines though. Even just looking at the front end of the bike it is easy to see the work involved. The custom girder forkset, fitted with a shock as opposed to a spring, is raked at an impressive angle to drop the front end of the bike to give a strong sporting stance. The swing arm has been manufactured so it matches the front end, both are painted in black so as not to take away from the lines of the tank and the ducktail. Not happy with the bike having a traditional body, the Mean Green Customs crew came up with a design which had “sharp edges and aggressive curvy lines”. This they have done, Aditya spent a lot of time fabricating the tank and seat until he was happy with the lines. 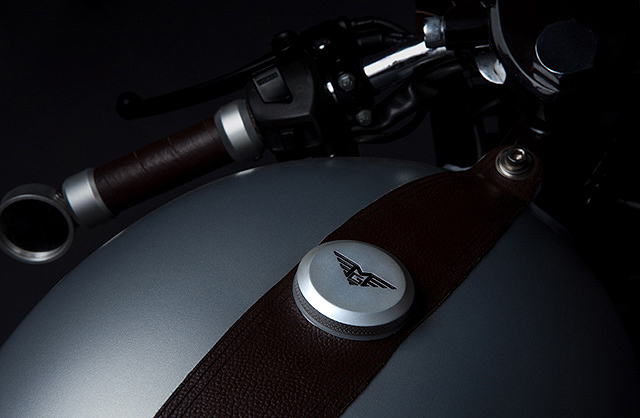 The metallic paintwork is broken up by the leather of the seat pan and a matching racing stripe on the tank. 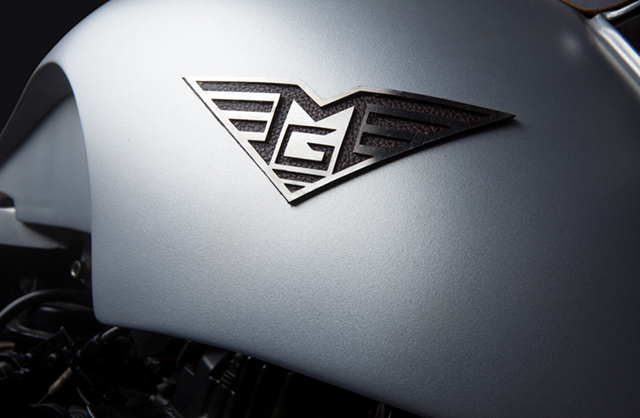 To round out the aesthetics, the MG workshop fashioned up a set of handlebar hugging mirrors inscribed with the workshop logo, and emblazoned with little LED units which make for indicator lamps. 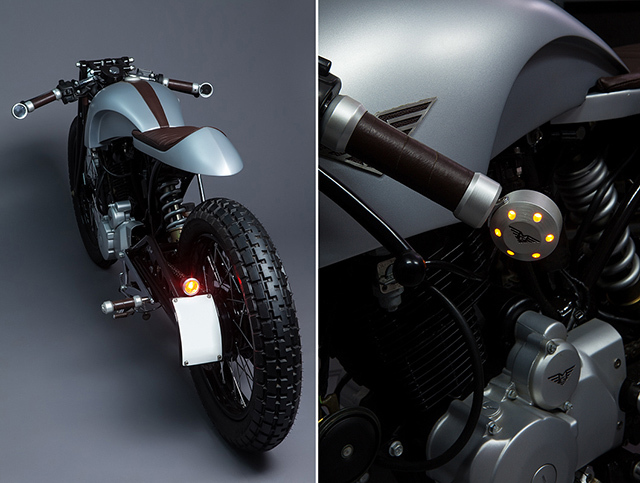 The indicator lamps for the rear are mounted in the foot pegs, leaving the rear of the body wiring and clutter free. 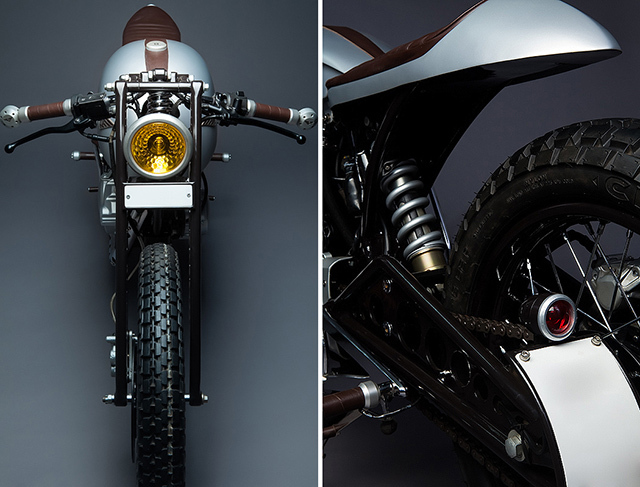 With a lot of thought and effort put in, Mean Green Customs have produced a one-of-a-kind café racer. 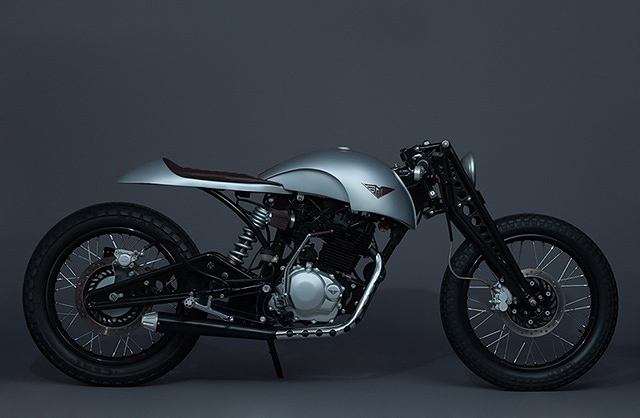 From mental image to metal image, this Honda powered special has fulfilled the build brief of being something ‘radical’ while still being tasteful enough to admire.